I have been a follower and reader of Learnvest since day 1 and they never disappoint. All the way from Manila, Philippines. 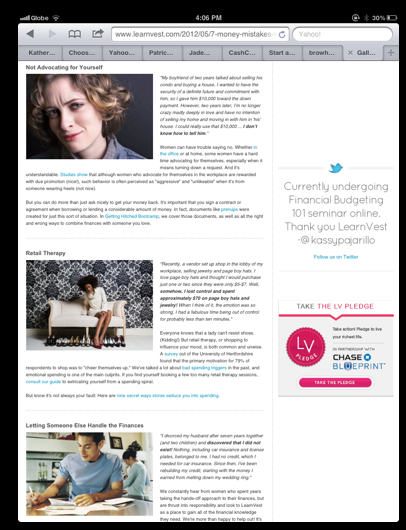 Thank you, Learnvest! The US feature may not be accessible but the free content itself are educational. Yes, that’s my testimonial featured, right there.